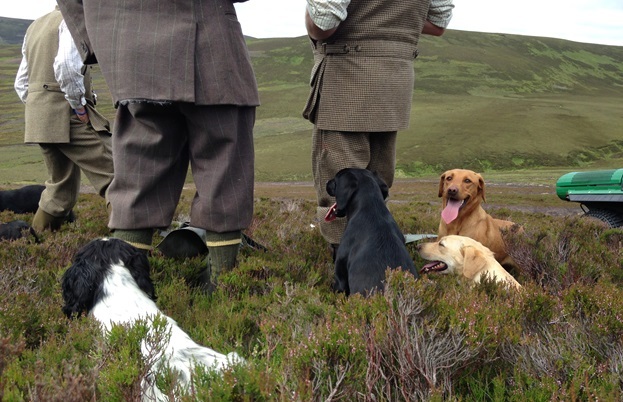 Rachel Walker takes us through The Glorious Twelfth, the first day of the grouse shooting season. With age-old traditions and wildlife-a-plenty, there’s much to learn on a day’s shoot, and a succulent roast grouse to be had as reward at the end. 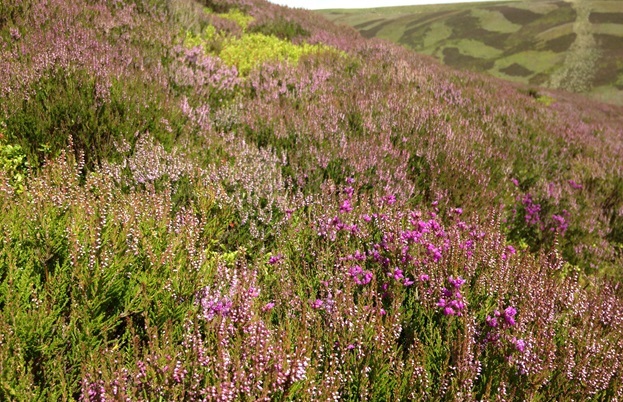 The bell heather and tormentil is in full bloom on the Highland hillside. But the carpets of ling heather which usually coat the moors are only just coming into flower, and the grouse are late this year too. 'The Glorious Twelfth' – 12 August – sees the start of grouse shooting season, as decided by the 1831 Game Act. The parliament act was put in place to ensure that the game birds were left alone over the summer breeding months, allowing the chicks to hatch and learn to fend for themselves before shooting season starts. Usually, the hens nest in late spring. If everything goes to plan, the eggs take 3-4 weeks to hatch meaning that the chicks are a couple of months old by the time The Twelfth comes round. Only nature doesn't always stick to calendar dates. 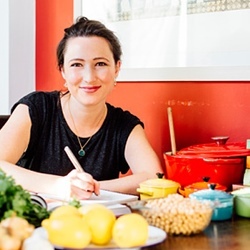 Speak to anybody north of the border, and they'll tell you that this year's spring frosts carried on well into 'summer,' and the past few months have been riddled with heavy gales and torrential rain. It's not good news for the grouse. "If a hen's nest is washed away, then she will relay," explains Annette Cole, Taste of Game development manager. "It can delay the season for anything up to 21 days or a month." Once the eggs have hatched, it's still not plain sailing. "Grouse respond well to warm, humid springs because it brings on the ground insects which they feed on," says Cole. Not only was there a low insect yield this year, but heavy rain or badly-timed hail storms easily wipe-out tiny, downy grouse chicks. Throughout the year, game keepers will do what they can to make the moor as accommodating as possible for the grouse: controlling predators, burning swathes of heather to encourage young shoots for the birds to eat, and even herding sheep across the moor so they pick up the tick in their fleeces (they are later dipped), rather than sucking the life out of grouse chicks. Patrolling the moor on a daily basis, and counting the number of birds which burst out of clumps of heather in a flock or 'covey' is a good indication of how the season will pan out. But it's not until the down of The Glorious Twelfth that anyone can be sure. The Glorious Twelfth has fallen on a Wednesday. It's been a reluctant summer, but suddenly the relentless grey sky has parted and the hills are bathed in sunshine. The group which has arrived for the 'walked-up' shoot spill out of a Land Rover and start positioning themselves on the hill. A 'walked up' shoot takes a different format to the more common 'driven' shoots. 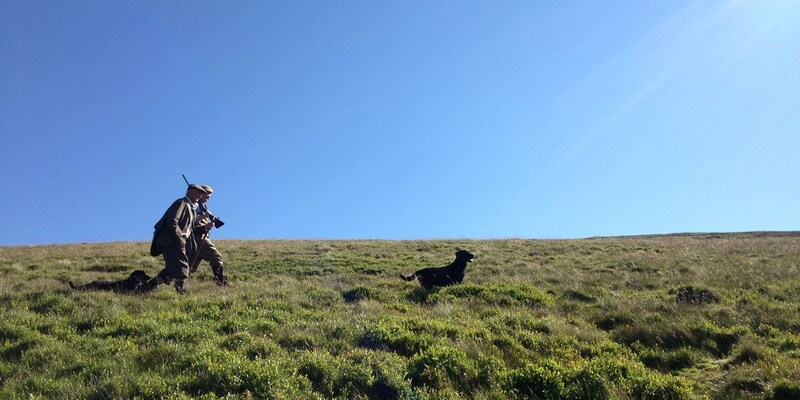 The group – usually six to eight people carrying guns, a few people with dogs to pick-up the birds, a game keeper and under keeper – walk across the moor in a line, flushing out coveys of grouse as they go. Driven shoots are more strategic. A static line of guns are hided in dug-outs or camouflaged shelters on the moor called 'butts,' while lines of 'beaters' wave flags to push the birds toward them. 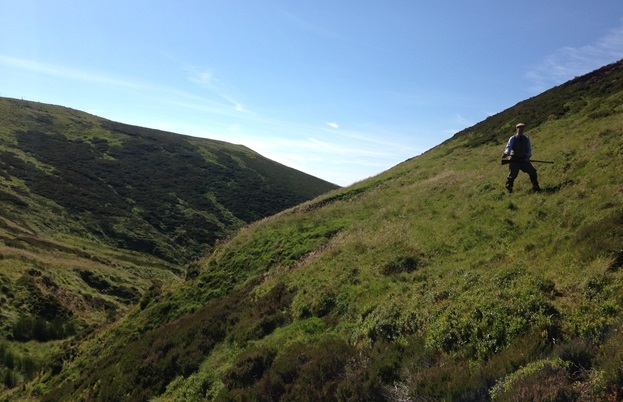 A walked-up day is a way to see the moor at its best. Knee height heather gives way to peat bogs, deep red sphagnum moss, as well as blaeberries and cranberries. Hares dart across the moorland, and an owl soars out of a coppice of Scots Pine. Everyone lowers their barrels and stands in silent awe as a few flaps propel it over a blind summit and out of sight. Before setting off there were strict instructions about 'cheepers.' Particularly when the grouse season is late, lots of the grouse are still far too young to shoot. They are easily distinguished by the 'cheeping' sound they make (hence their nickname 'cheepers'). It's very different to the distinctive 'go-back, go-back, go-back' call of an adult. Some of the cheepers will be shot later in the season when they're grown. Others will deliberately left to breed next year. "It's unsporting," says one of the party whose gun followed the flight of a grouse in a covey, before the bird began cheeping and he quickly lowered his barrel. "The best way to describe shooting a cheeper is like farting in church," laughs Cole. "You just don't do it." As the day goes on, there are lots of instances like this. It's easy to spot a hen who is flying with chicks. Their flight path is unsure, they fly low and hide in the heather. It's the older birds who fly with confidence – gaining height as they soar, so the guns can follow their path just as they've practiced with clays, inching just ahead of birds before squeezing the trigger. At the end of the day, we pick out some of the plumpest looking birds to pluck, gut and roast for a traditional celebratory dinner served with bread sauce and game chips. 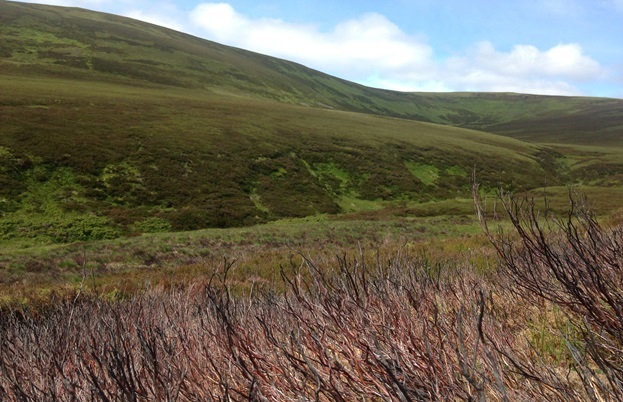 It's relaxed in The Highlands – it's too far from London to join the race which will be happening on grouse moors in Yorkshire, Durham or Lancashire. Game dealers will be piling birds in vans, and hurtling down the M1 to distribute them amongst the capital's top restaurants. 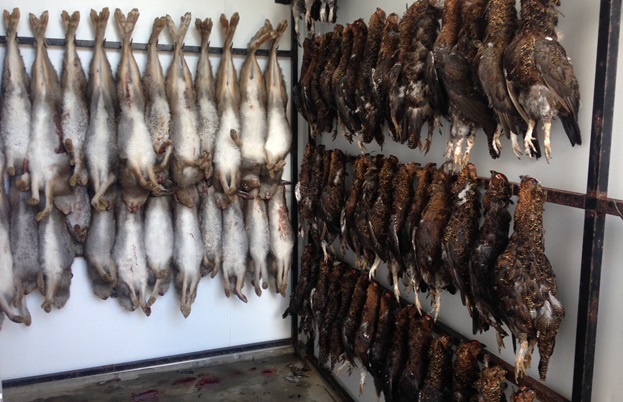 Chefs at The Jugged Hare and Boisdale will be tapping their food impatiently, and soon the prize birds will be displayed on the meat counters at Fortnum & Mason and in Lidgate's window. 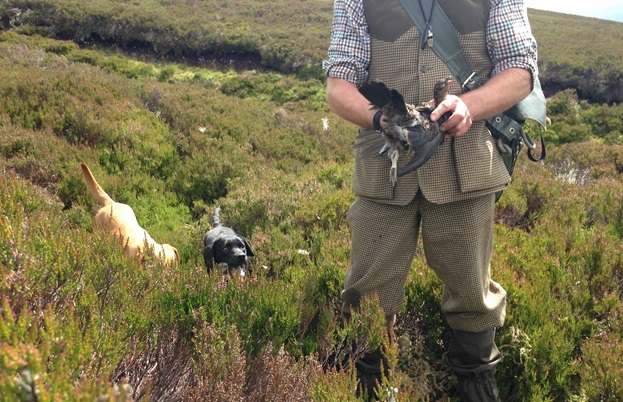 "The price of grouse is 50p to £1 higher this year in comparison to last year," says Cole. "It's a matter of less supply, but also more demand as more and more people show an interest in game." The price is likely to fall at the end of next week though, when the flurry of the first fortnight has passed. That's three months of grouse until the season starts to wind down in early December. Though Cole predicts that the grouse season might end earlier this year, to make sure that there are plenty of young birds left to breed. So it can happen all over again next year.